Learning is fun, we’ve all known that for a long time, haven’t we? But learning can also be a challenge and Story Planet likes to be there to help out and show students fun, effective approaches to classroom learning outside the classroom. Each Tuesday, students from elementary schools in the neighbourhood would bring their homework to Story Planet where volunteers would guide them through anything from reading homework to math worksheets. Naturally, we incorporated some creative elements into the workshops so students had a chance to take a break and write a postcard to their future self, read a book from our library, or write their own story! 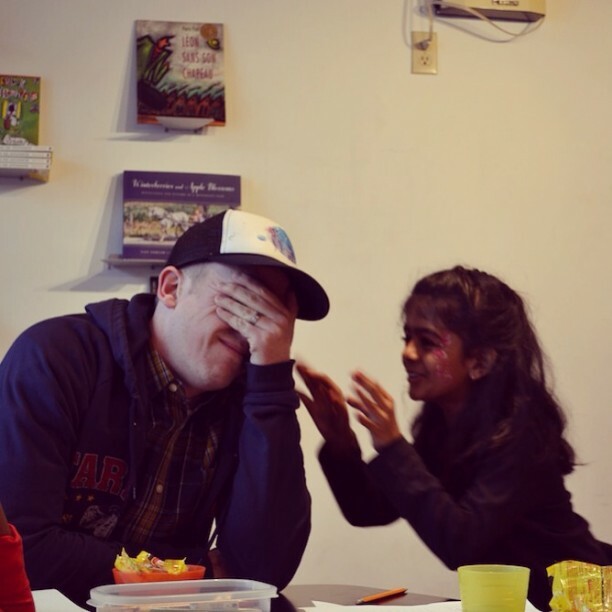 Some of our volunteers are ESL-certified and worked with students who needed additional language help, which can be high priority in some parts of Toronto. The funding generously provided by CIBC’s Children’s Foundation created a space for students to see a fun side of learning! This year marked the 2nd Annual Essay Bootcamp, in collaboration with Innis College at the University of Toronto. Students were paired one-on-one with volunteers who guide them through the structure and technique of writing an effective end-of-term paper. The day ended with a tour of the University of Toronto, introducing students to academic and campus life and answering those early questions about what life after high school is all about. A huge thanks to No Frills, Fiesta Farms, and Loblaws for donating supplies for our afternoon BBQ. There are so many ways to make a story! Read on to learn about how Story Planet’s youth creators told their stories through film and stop-motion animation this year. We can’t wait to screen the finished products this fall and continue introducing youth to new models of storytelling with the help of our expert volunteers and amazing sponsors. For 12 weeks starting back in September 2013, Toronto youth aged 13-18 took part in a digital story-making project at Story Planet. 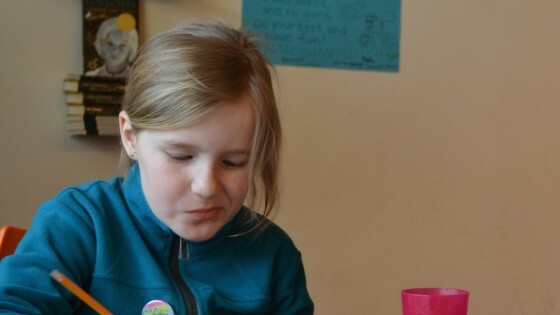 Thanks to HIVE, Story Planet was able to provide this after school program with many tools to help bring the bright imaginations of digi story-makers alive. Click on the photo below to check out the finished products! Click on the photo above to check out the finished products! 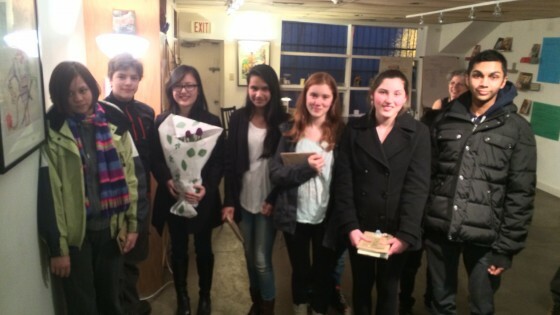 Our stop-motion animators and their volunteer project coordinator, Joanna Lam. 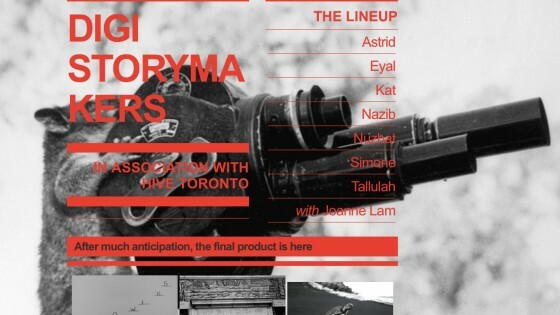 The Young Filmmaker’s Project invited 20 at-risk youth residing in Toronto’s high priority neighborhoods to take part in an 8-month film mentorship program, held after school, once a week at Story Planet and once a week at The Pelham Park Community Hub. Starting in October, participants learned from industry professionals about all aspects of filmmaking, including writing, directing, filming, editing, sound engineering, lighting, acting, producing, and publicizing. The Ontario Ministry of Community Safety and Correctional Services Safer and Vital Communities’ grant program was crucial in the development and success of this project. Eight amazing short-films were the result of this project, which will be screened this fall. Our young filmmakers also starred in each other’s films! 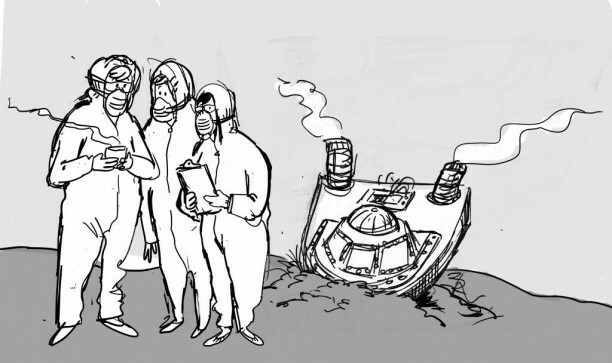 Stay tuned for news on a screening at Story Planet this fall. From February to May 2014, Story Planet held a monthly Youth Film Night on site, which included a full film screening followed by a discussion/Q&A with a guest speaker who was either affiliated with or an expert of that particular film. This project was in conjunction with the Youth Filmmaker’s Project and graciously supported by Safer and Vital Communities. Our young filmmakers were able to voice their opinions about the techniques and overall impact of each film and had the unique opportunity of gaining real insight from each guest speaker. Here at Story Planet, we have one very favourite thing. Here’s a hint: it’s right in our name! You guessed it – stories! 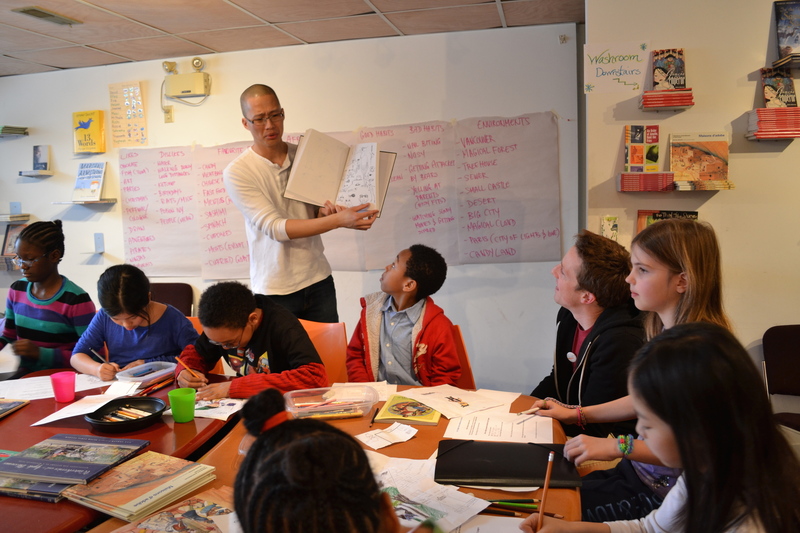 All of our workshops incorporate an element of story creation, from writing to illustration, and from the very first thought to the binding on the book. We absolutely love watching these stories come to life and reading or watching the finished product never fails to wow us! This year, we ran a number of workshops at Story Planet and hosted others at schools across Toronto. Here’s a recap! This year we launched Story Club, a story building afterschool program for children in grades 3-5. Over the span of ten weeks in the fall and winter, each Story Club member wrote, revised, and bound their very own wholly unique book. This latest Story Club also saw the birth of a “How To” story guide modelled off a cookbook and fuelled by advice from the students. The guide will be available for budding authors at the ITA this fall! 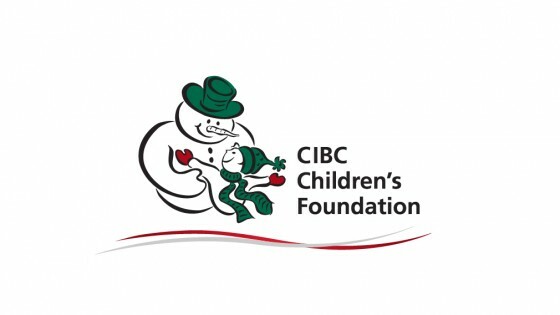 Our friends at CIBC Children’s Foundation offered their generous support to make this workshop a fun and inspiring success! Our ongoing Alpha workshops transform students into authors in 2 hours! 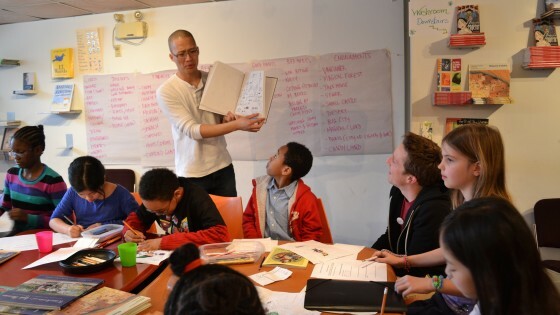 Taking place at the Story Planet headquarters, and with the help of a facilitator, a typist, and a professional artist, the workshop encourages students to collectively create a story. When the story reaches a point of crisis, the students split up individually to each write their own ending. At that point, all endings are collected and each student leaves with a book of their work to take home. The CIBC Children’s Foundation and the Toronto Arts Council are the reasons we are able to provide weekly Alpha’s to 15 schools across Toronto! We had so many amazing volunteers contribute to the success of these workshops! Story Planet travelled to several schools in our galaxy this year to facilitate tailored, in-class programming known as Beta Workshops. Over the span of three days and 7.5 hours, a class would undergo an extended version of an Alpha Workshop where they develop a story collectively as a class and individually. 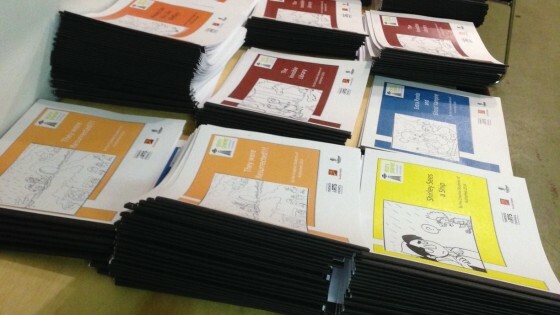 At the end of the 3 days, each student would take home their own copy of the story they all had a hand in creating. Many thanks to the Ontario Arts Council, whose continuous support is the facilitates this amazing program. 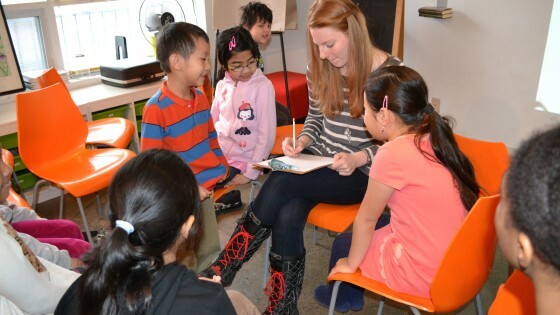 Our Beta facilitator, author and illustrator Hilary Leung. Check out his book, Ninja Cowboy Bear, published by KidsCan Press. Authorfest was a series of 10 Alpha workshops hosted by four Toronto District School Board schools: Keele Street Junior Public School, Perth Avenue Junior Public School, Parkdale Public School, and Brock Junior Public School. These schools invited more than 800 students from schools throughout the GTA to take part. Each day, we set up shop, and worked with anywhere from 2-4 groups of students to create their very own books. A big thanks to the Ontario Arts Council for supporting this amazing event! All of these books were written by our kid authors! Every year in June, there is a distinct feeling of Last-Day-of-School-ness in the air. It’s bittersweet, but here at Story Planet, we choose to focus on the sweet by celebrating a year’s worth of incredible programming, and the publications and productions that were made right here by our up-and-coming creators! Now that our programs have wrapped for this school year, we are looking ahead to another packed calendar of homework help, publishing projects, filmmaking, stop-motion animation, storybook creation, and all the fun, fascinating outcomes that pop up in between. Ultimately, Story Planet is a place where kids can develop their unique voices and find a platform to share those voices. Seeing a concrete publication – a final cut, collection of short stories, stop-motion animated video – is a huge moment of pride for the kids who created it, and something that all of us at Story Planet live for! So all this week, we will be taking a look back at a year’s worth of story making in all forms. And we want to say thank you to all our generous sponsors and enthusiastic supporters for bringing life to Story Planet day in and day out! Story Planet Matters from Story Planet on Vimeo. 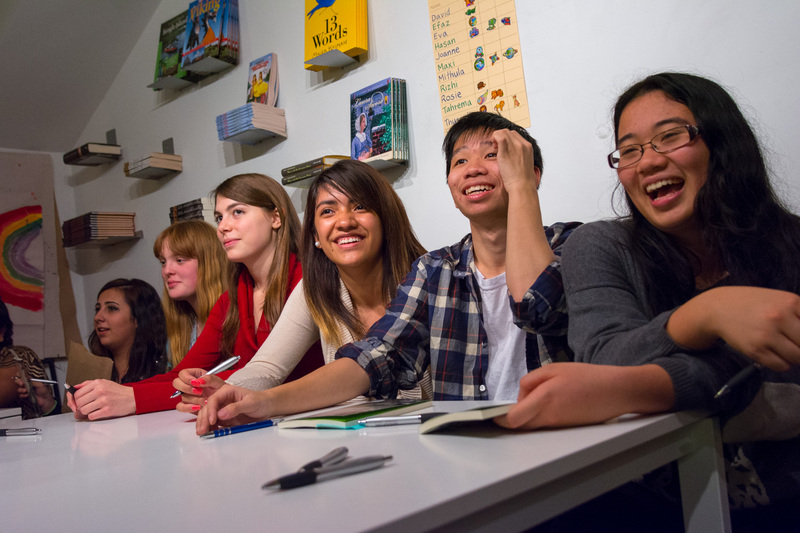 Over eight months, a group of Toronto teen writers gathered to workshop their writing and compile an anthology of their original fiction. The collection came to life thanks to the generous support of the Toronto Community Foundation and the Ontario Trillium Foundation, as well as the guidance of Coach House Books. It is now a living, breathing publication that can be purchased at the ITA and located in the stacks of the Library and Archives Canada, proving to our students that everyone has a voice that deserves to be heard! Many of these authors are still meeting at Story Planet weekly, and have welcomed a group of new writers to the workshop. Together, we’re looking forward to developing our next publishing project with these budding authors and our wonderful partners! Upcoming Writers from Another Reality doing a book signing at the launch of Infinite Fictions. We are thrilled to announce our Big Idea cracked the Top 25 in the CST Inspired Minds Learning Project – all thanks to your votes! Round 2 opens TODAY and runs until Monday, June 16 at NOON! We need you, and everyone you know, to vote for Story Planet’s Picture Book Kid Authors so we can receive up to $20,000 toward turning kids into published authors! Learn about Story Planet’s Picture Book Kid Authors workshops. Register your email, Twitter, and Facebook in order to vote 3 times daily! Confirm your registration through email. Share with your friends on Facebook and Twitter! Mad Libs – What a ______ (Adjective) night! A huge thank you to all of our wonderful attendees and volunteers at this year’s Mad Libs Story Battle! And a big thanks to our wonderful host, CBC’s Tom Power, and our fantastic judges Carrieann Leung, Jessica Westhead, Evan Munday, Vikki VanSickle, and Rachelle Delaney! 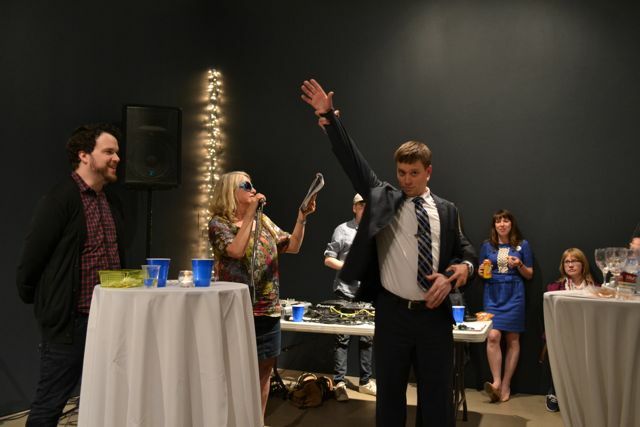 The fundraiser was a real hoot and a roaring success! We are so honoured and touched to receive your ongoing support, and look forward to launching another inspiring round of programs and workshops here at Story Planet! More photos will be up on Facebook soon! 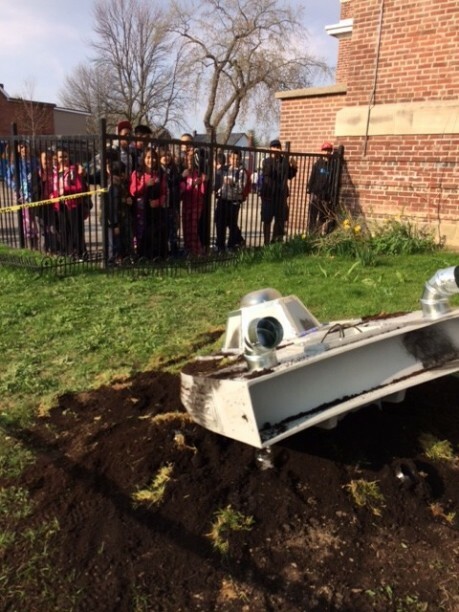 crash landed outside Pauline Public School. in Toronto for assistance investigating alien activity throughout the city. and contribute your own theories! Where did this alien come from? Why did it choose to visit Earth? And will this alien return?